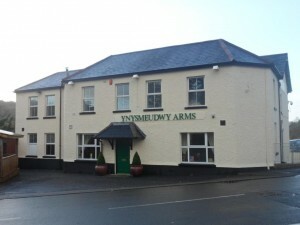 Tel: 01792 832 111 After a period of neglect, and standing empty, we are pleased to announce that the Ynysmeudwy Arms is now fully open for business. We have carried out an extensive update and modernisation to create a comfortable, cosy and welcoming place to come and socialise. We are pleased to announce that we have appointed two high-quality chefs with a combined experience of well over 40 years. Our Head Chef has nearly 30 years’ experience, including working as Head Chef in the Grand Theatre in Swansea, where she was responsible for laying on banquets for the rich and famous, including Royalty. She has also worked as Head Chef at Hollybrook Country Inn & Restaurant in Carmarthenshire, the Fox & Hounds in Bridgend to name a few. She has a wealth of experience including being a qualified baker and confectioner. So, we will be serving up some truly scrumptious home-made desserts! Our Sous Chef also has a wealth of experience, and is qualified to a high level. He has worked for the last 6 years as Sous Chef at Blanco’s Hotel. We are pleased to have such a quality Sous Chef to be working alongside our Head Chef. They have both worked tirelessly to prepare a menu to suit everyone’s palate. All of our produce has been locally-sourced and we are sure, will be a fantastic dining experience for all – whether you are having a snack or a 3-course meal.